The International Organization of Securities Commissions (IOSCO) is the worldwide association of national securities regulatory commissions, such as the Securities and Exchange Commission in the United States, the Financial Services Authority in the United Kingdom, and about 100 other similar bodies. Click here to go to the IOSCO website and click here to go to links to IOSCO members. exchange information at both global and regional levels on their respective experiences in order to assist the development of markets, strengthen market infrastructure and implement appropriate regulation. Under the Multilateral Memorandum of Understanding Concerning Consultation and Cooperation and the Exchange of Information, member organisations cooperate with each other in matters of enforcement. IOSCO's enforcement role extends to matters of interpretation of IFRS, where IOSCO maintains a (confidential) database of enforcement actions taken by member agencies. Providing critical and timely input — The IFRS Foundation will solicit IOSCO member opinions on any time-sensitive IFRS implementation matters needing urgent input from securities regulators. The International Organization of Securities Commissions (IOSCO) has published a statement setting out the importance for issuers of considering the inclusion of environmental, social and governance (ESG) matters when disclosing information material to investors' decisions. 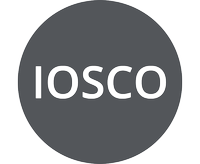 The International Organization of Securities Commissions (IOSCO) has published a statement asking companies to disclose the likely effects of the new standards on revenue, financial instruments, and leases as these are expected to significantly affect the financial statements of many issuers globally, given the breadth of their applicability. The International Organization of Securities Commissions (IOSCO) has finalised its guidance setting out IOSCO's expectations for issuers with respect to the presentation of financial measures other than those prescribed by Generally Accepted Accounting Principles (GAAP), so called 'non-GAAP financial measures'. The International Organization of Securities Commissions (IOSCO) and the IFRS Foundation have published a joint Statement of Protocols for cooperation on IFRSs, aiming to "promote and facilitate transparency within capital markets through the development and consistent application of IFRS Standards." Deloitte Touche Tohmatsu Limited has responded to the International Organization of Securities Commissions' Consultation 'Proposed Statement on Non-GAAP Financial Measures'. We support addressing the issue of non-GAAP financial measures at a global level as it is pervasive, and believe it is in the best interests of global securities markets if the proposed statement applied consistently in all IOSCO jurisdictions and is not overlaid with local guidance. The Federation of European Accountants (Fédération des Experts-comptables Européens, FEE) has responded to the International Organization of Securities Commissions (IOSCO) consultation on non-GAAP financial measures. FEE calls for the efforts around non-GAAP measures to be coordinated with the IASB. Today, at the 2014 IOSCO Conference, IASB Chairman Hans Hoogervorst provided his comments on the role global accounting standards play in strengthening corporate governance in the capital markets. The International Organization of Securities Commissions (IOSCO) has issued proposed guidance setting out IOSCO's expectations for issuers with respect to the presentation of financial measures other than those prescribed by Generally Accepted Accounting Principles (GAAP), so called 'non-GAAP financial measures'. The Basel Committee on Banking Supervision (BCBS) and the International Organization of Securities Commissions (IOSCO) have announced that they are co-leading a task force that will undertake a wide-ranging survey of global securitisation markets. The Review Group for the governance and oversight arrangements of the International Public Sector Accounting Standards Board (IPSASB) has issued a public consultation paper on the future governance and oversight of the IPSASB and IPSASs as earlier consultations found that concerns about the governance and oversight of the IPSASB are some of the reasons cited by national authorities for not adopting IPSASs. One of the possibilities mentioned is giving monitoring and oversight of the IPSASB to the IFRS Foundation's Monitoring Board and Trustees. At the 2013 AICPA National Conference on Current SEC and PCAOB Developments, IASB Chairman Hans Hoogervorst measured the IASB's achievements against the SEC Staff Report published in July 2012. In view of the increasing internationalisation of Islamic capital market (ICM) products, the Islamic Financial Services Board (IFSB), the International Organization of Securities Commissions (IOSCO) and the Securities Commission Malaysia (SC) have published the joint publication 'Disclosure Requirements for Islamic Capital Market Products'. IASB Chairman, Hans Hoogervorst gave a speech today at the World Standard-Setters (WSS) Conference on strengthening institutional relationships. He discussed the role that collaboration plays in the current and future success of IFRS. The International Organization of Securities Commissions (IOSCO) and the IFRS Foundation announced that the two organisations will deepen their cooperation in the development and implementation of IFRS on a globally consistent basis. The Monitoring Group and Public Interest Oversight Board (PIOB) have published documents in response to their March 2012 consultation documents on the governance of various organisations operating under the auspices of the International Federation of Accountants (IFAC). The reports outline a number of recommendations in relation to the governance and strategy of the various IFAC bodies, but does not make any recommendations on the governance of the International Public Sector Accounting Standards Board (IPSASB). The Monitoring Group has formally taken the question of IPSASB oversight onto its agenda, noting "its [own] composition and that of the PIOB currently are not appropriate to the needs of stakeholders in public sector accounting standards". In a speech to The Atlantic Council, Mr David Wright, Secretary General of International Organization of Securities Commissions (IOSCO) has given a frank assessment of the issues surrounding the future of global financial regulation. Mr Wright proffered the option of a "global institutional framework, probably established by International Treaty" and chastised "isolationists" in the United States for "19th century logic" in denying the impacts of globalisation, including indirectly in relation to International Financial Reporting Standards. The International Organization of Securities Commissions (IOSCO) has released a report 'Global Developments in Securitisation Regulation', which includes in its recommendations that the Financial Stability Board, International Accounting Standards Board (IASB) and Financial Accounting Standards Board (FASB) should work toward further harmonisation of approaches to consolidation of securitisation special purpose vehicles (SPVs). The Australian Securities and Investments Commission (ASIC) has publicly released a transcript of a speech given by Greg Medcraft, current ASIC Chair and chairman-elect of the International Organization of Securities Organisations (IOSCO), to the International Centre for Financial Regulation in September 2012. In the speech, Mr Medcraft outlines his views on the key challenges facing IOSCO and his suggested strategies to address those challenges, including a greater role for industry. The Board of the International Organization of Securities Commissions (IOSCO) has agreed to consider an IFRS Foundation request to play a larger role in global efforts to further the international adoption and implementation of International Financial Reporting Standards (IFRS). The Islamic Financial Services Board (IFSB) has posted to its website a report from a high-level roundtable on 'Disclosure Requirements for Islamic Capital Market Products' organised by the IFSB, the International Organisation of Securities Commissions (IOSCO) and the Securities Commission Malaysia. The roundtable was to be a first step towards the development of international regulatory standards and best practices relating to disclosure requirements for Islamic capital market products. The IASB now has a formidable network of interested parties, both national and regional, around the world. Robert Bruce, our regular, resident columnist takes a look at the opportunities, and the possible problems, ahead. On 16 May 2012 Michel Prada, Chairman of the IFRS Foundation Trustees, addressed the 2012 IOSCO conference, in Beijing, China. In his speech, Mr Prada highlighted the IOSCO's role in developing IFRSs, discussed the future of the IASB as a global standard-setter, and shared his goal of greater coordination between the IASB and IOSCO. The International Organization of Securities Commissions (IOSCO), the worldwide association of national securities regulatory commissions, is currently holding its annual conference in Beijing, and has announced a restructure of its governance structure, operations and funding.